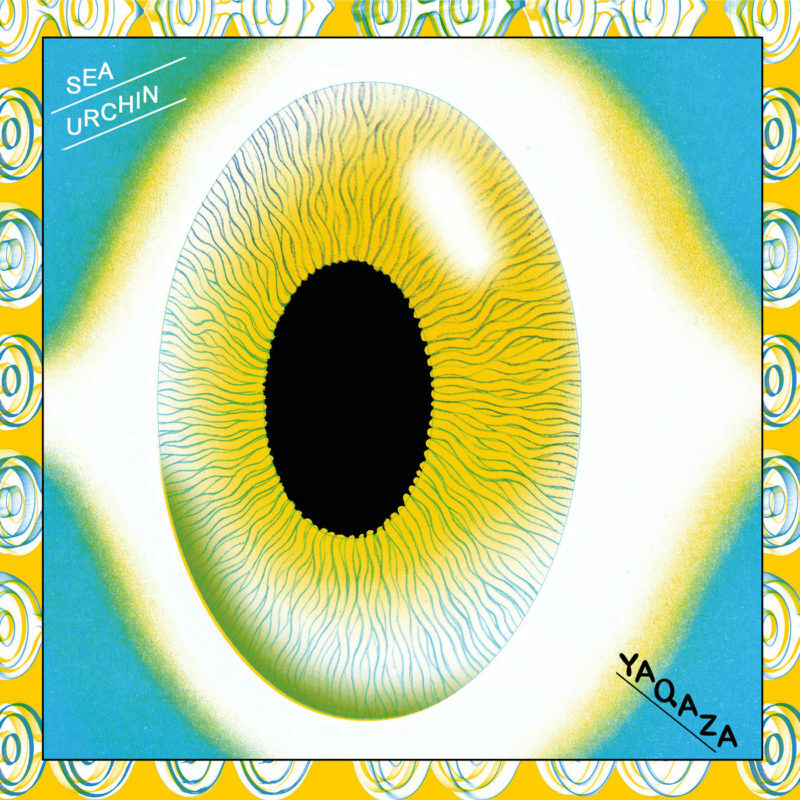 KRAAK | Sea Urchin Yaqaza"
Sea Urchin is the Berlin-based brainchild of the Italian Francesco Cavaliere and the Egyptian-Austrian Leila Hassan. Being core members of the underground, they already released a 7” in 2012 on D.A.S., a tape in 2014 on Stenze Quo, and Cavaliere recently released two solo-LP’s on Hundebiss. Yaqaza is their long-awaited vinyl debut. The duo surprises with a multicoloured, mystic and intriguing collage of deconstructed pop hits, Italian music concrète, King Tubby-like dub and Algerian Rai. It is no coincidence that Yaqaza is Arabic for ‘daydream, reverie’. The record is a virtual reality labyrinth in which you wander around sleepwalking, constantly opening new doors and sliding between tableaux vivants. The poetic vocals by Hassan, alternately in Arabic and English, is an absent guide that takes you to ethereal micro-cosmoses. Dubby baselines, a cold drum computer, analog electronics and subtle tape collages come together in an intriguing and wondrous web of unravelling side plots. Yaqaza is a magic realist frame narrative. The side roles are performed by Sicilian salt miners, Bolaji Badejo (actor of the Alien in the movie with the same name) or Cheba Nouria (an Algerian pop star).